The Elimination Diet is an eating program covering twenty-eight days which was developed to curb inflammation and balance out the body. This diet is used for the purposes of preventing, treating or eliminating symptoms of disease, such as fibromyalgia, arthritis or irritable bowel syndrome. The Elimination Diet consists of phases during which foods are omitted or added back into the diet in order to find the culprits that cause such health complications. This book contains recipes, divided by phases, to help the dieter maintain a balanced meal plan while digestive cleansing and food adjustments take place. All these recipes are made from foods appropriate to a particular phase, making it easier to stay on track. Nutritional values are not counted during the first twenty-eight days of The Elimination Diet, so we have not included them with the recipes. To make your meal planning easier, we have included a list of foods to avoid and to eat. 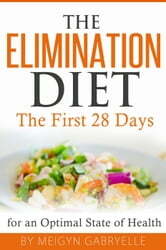 Ähnliche Bücher wie The Elimination Diet: The First 28 Days! Ketogenic Desserts Cookbook: Low Carb Fat Bombs and Dessert Recipes to Satisfy Your Sweet Tooth!